Protect your investment with the latest self-healing paint protection technology. Paint Protection Film, or PPF, is like an invisible shield, enhancing the appearance of your vehicle while helping to preserve its value. These films are flexible, thick, strong, and invisible. Defend your vehicle’s vulnerable areas against abrasions, nicks, scratches from insects, small road debris, and winter sand and salt for year-round protection. Paint Protection Film is perfect for vehicle hoods, fenders, mirrors, and front bumper to protect against flying road debris. Cover your vehicle’s back bumper, around door handles, and other areas subject to heavy use and possible damage. We use LLumar Paint Protection film, which is approved by all major automotive manufacturers and is a clear-coated 8 Mil urethane film that is adhered with high performance, pressure sensitive adhesive that will ensure long-term adhesion. Our paint protection film can resist impacts up to 120 miles per hour and is a computerized design, to ensure an exact fit. There are no mechanical attachments or unsightly guards; just clear, superior protection! PPF can save you money on costly repairs to your vehicle’s finish due to damage from road debris and winter salts. PPF is UV Stabilized, so it will not discolor over time and will allow the vehicle’s color brilliance to show. Applying PPF to your vehicle will restore and maintain that shiny, factory-fresh look while protecting it from future damage. 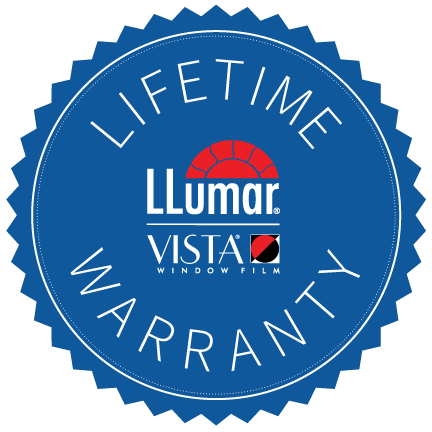 Your LLumar Select Pro and FormulaOne High Performance film is protected by a Lifetime Automotive Warranty. The warranty guarantees you will never have to worry about difficulties of film bubbling, peeling, fading, delaminating, cracking or changing color. Your purchase is also protected by a 5-year thermal stress breakage warranty.